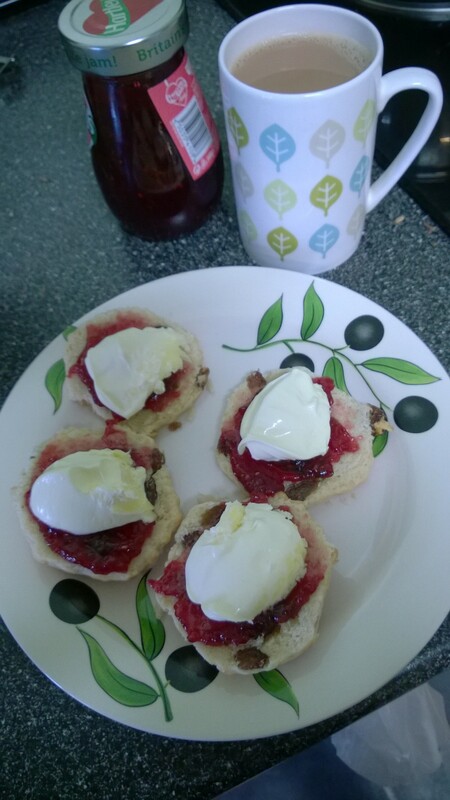 I have mentioned before my love of clotted cream. I stand by my assessment that the best I have had is here in the UK where I am staying at the moment. So far Rodda’s is the best I have found. I love everything about it. The cute packaging with the gold font, peeling back the plastic to reveal the golden crown and piercing through it with a silver spoon. A simple favourite of a scone with raspberry jam and cream paired with a cup of tea is a perfect treat any time of the day. 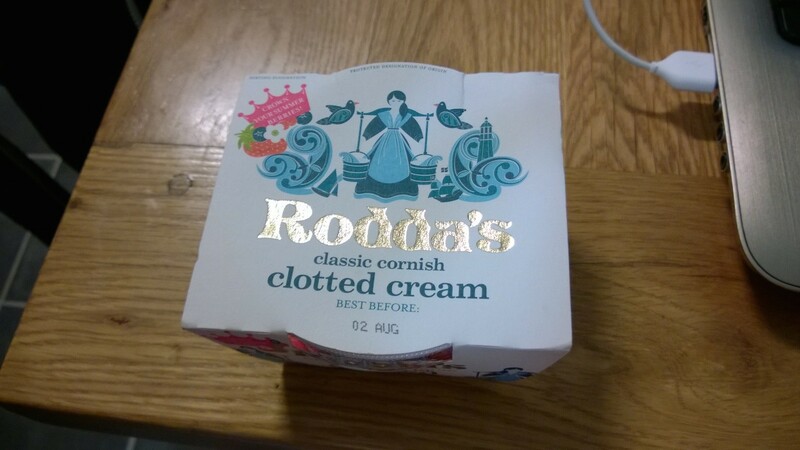 This entry was tagged cream tea, Rodda's clotted cream. Bookmark the permalink.